This is a submitted sponsored story. ToshiTimes.com urges readers to conduct their own research with due diligence into the company, product or service mentioned in the content below. ToshiTimes.com is not responsible, directly or indirectly, for any damage or loss caused or alleged to be caused by or in connection with the use of or reliance on any content, goods or services mentioned in the story. Estonia – Cointraffic, the leading global digital advertising network specialising in blockchain marketing is proud to offer a brand-new Self-Service platform. 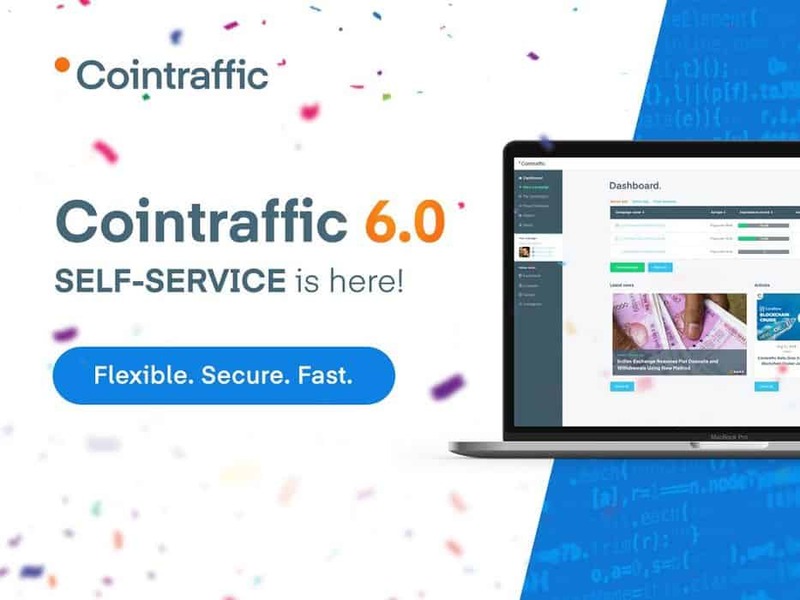 Introducing Cointraffic 6.0 – the Self-Service marketing option offering unrivalled campaign control. 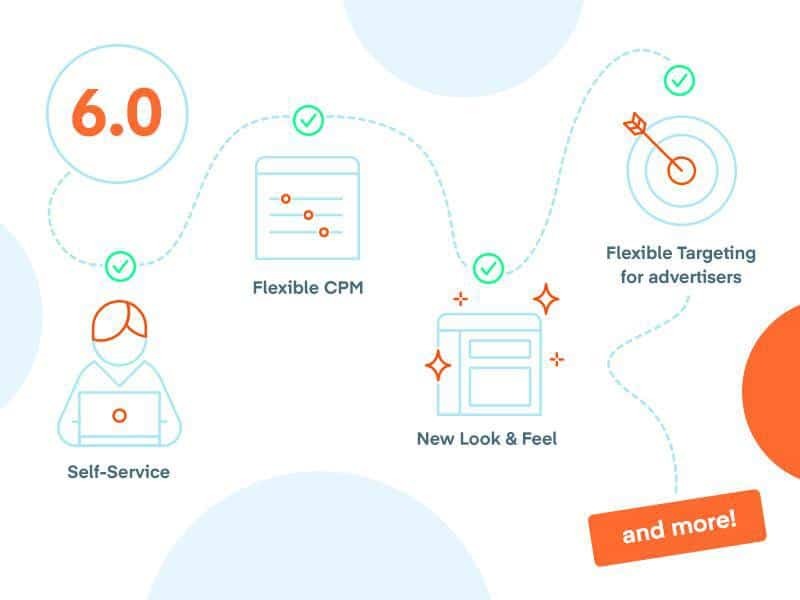 The crypto client of today demands value for money, speed and a tech edge – Cointraffic 6.0 delivers all the traditional advertising campaign tools but with maximum flexibility. Using our Self-Service option, the user is now able to manage every stage of the marketing campaign via a simple and easy to use dashboard with a full suite of analytics tools aimed at saving both time and money. We deliver the tool – you execute the campaign to your budget, spec and goals. With Cointraffic 6.0 you can setup your campaign how you wish, amend and automate the whole process with full reporting functionality – outline your key deliverables with the correct strategy and allow the platform to work on your behalf. With the client in the driving seat and with an automated process you can control your spend, focus on the bottom line and react to the latest developments! Innovating Crypto marketing – A single platform that works for the market. The Self-Service platform was trialed a number of years ago but with advances in technology as well as platform algorithms we are now in a unique position to offer more for less. Key features include automated banner ads in different formats, pop-under, native advertising as well as Press Releases – we have listened carefully to our clients and have built this system to market feedback. The platform however requires your feedback so please do let us know what you think! Create your campaign to your budget. After registration the client can setup and manage the campaign as well as check against the success of previous campaigns. Depending on your targets and timeline you can tailor the campaign pacing by adjusting the CPM bids and setting daily ad spend limits. Together with our partners we bring even more value to the crypto community by ensuring the best CPM rates on the market. The platform has been built in partnership with our clients, partners and blockchain marketing visionaries – it is secure, flexible, cost-effective and allows you maximum efficiency – if you want to find out more please get in touch today to book a demo! For all media and industry queries please contact us at pr@contraffic.io – we are keen to hear from you! About Cointraffic: Cointraffic is the leading ad network for global crypto community.